Jennings Terrace is a premier residential care, assisted living facility for the elderly. We believe that the older members of our society are treasures that should be treated with the loving care they deserve. If you or someone you know is a senior citizen who needs assisted living in Aurora, IL, reach out to us for residential care, individual senior rehabilitation, and long-term nursing care services care services. As a nonprofit charitable corporation, we are dedicated to providing quality, safe, and affordable housing and elder health care services in a community setting for adults, age 50-plus. Since our founding in 1943, we have valued the safety, comfort, and respect of our residents. The compassionate staff at our location excels in delivering continuous care for seniors needing long-term nursing. Additionally, we provide the helping hand to those who need assistance with activities of daily living but not in need of nursing health care. If you are a retired individual, we provide you with the ideal place to live independently. Apply in person at our office, or call us for more information about our facility. We look forward to welcoming you as a resident. We provide nursing care, memory assistance, independent care, assisted living, and short-term stay services to individuals 50 years of age or more. Our organization is in direct response to the needs of the area's communities. Our nursing, activity, dietary, and social services departments all work together to plan and provide person-centered care to our residents. In keeping with our Vision Statement to provide affordable, high-quality care, we are one of the lowest cost providers of senior living care service in Aurora. Live life to the fullest by enjoying an active and independent lifestyle at our facility. We provide senior living accommodations and many amenities where our residents, so they can feel right at home. Why worry about keeping up with the yard, home repairs, and other chores? Move into our independent senior community, and we’ll take care of everything for you. 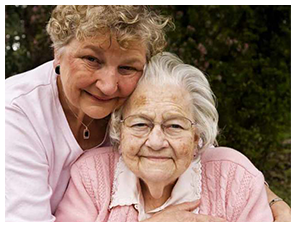 We are considered one of the best local elderly care companies in the area. Just because you need extra care doesn’t mean you can’t enjoy the same things you normally do. Plus, there are many features at our facility that you may find you really enjoy. In addition, our compassionate and trained staff always ensures you are comfortable with your surroundings and activities. You’ll find that we have a strong sense of family, and it is evident in every staff member you meet. You deserve your privacy. In fact, we want you to choose how to spend your time anyway you want. That’s why we provide so many opportunities for our residents. Our senior living apartments are located on our property, but they are all yours. Whether you want to spend special time with friends or enjoy quiet evening alone, the choice is all yours too. Come to a senior living community that values your independence and gives you many choices. Contact us to find out about our veteran's discount. We proudly serve residents throughout Aurora, IL, and the greater areas.